1. A Clockwork Orange was not the original title of the novel. In Anthony Burgess’s diary for 1958, he begins a plan for the novel that would eventually become A Clockwork Orange. It appears he originally intended the novel to be titled The Plank in Your Eye, an allusion to Matthew’s Gospel. During the Sermon on the Mount, Jesus is reported to say, ‘Why do you look at the speck in your brother’s eye, but do not consider the plank in your own eye?’ This title reinforces the biblical themes of the novel, but also refers to the state ‘fixing’ Alex while ignoring its own corruption. The plan for The Plank in Your Eye also reveals that the novel was to be set in the year 1980, and that Alex was originally going to be called Fred Verity. 2. The Droogs have their origins in the Manchester of the 1920s. Burgess always considered himself a Mancunian, even after he left the city for good in 1940. 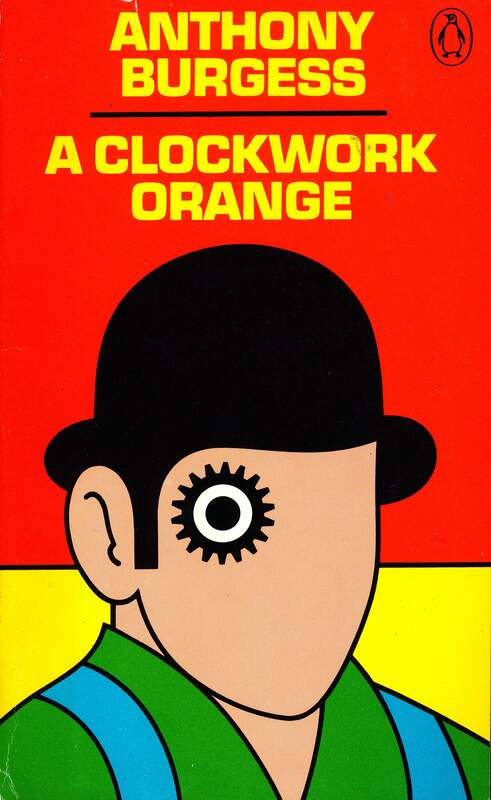 Much of his fiction contains characters from Manchester or references places from around the city, yet A Clockwork Orange at first glance seems to be free of any Mancunian influence. However, when Burgess recorded passages of the novel for a 1973 vinyl release, he very deliberately used a broad Manchester accent, associating it with the crimes and thuggery of Alex’s narration. Remembering his early life in Manchester, Burgess writes, ‘It was an ugly town and its proletariat could erupt in ugly violence’, and recalls being set upon by a feral gang: ‘Ragged boys in gangs would pounce on the well-dressed, like myself, and grab ostentatious fountain pens.’ His first experiences of crime and violence were on the Manchester streets, and combined with his observation of the mods, rockers and the Teddy-boys, and the Russian stilyagi gangs, the droogs were born. 4. 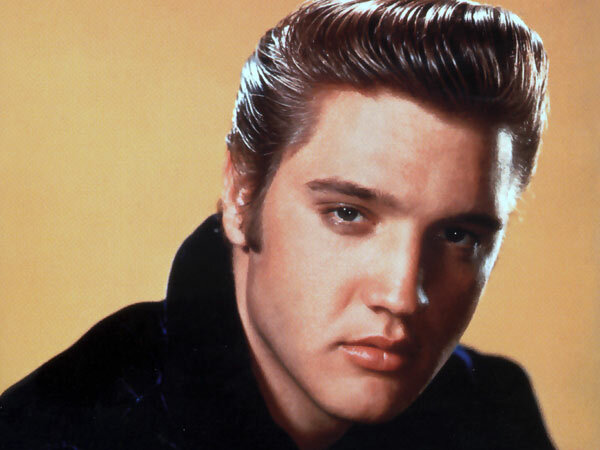 Burgess thought Elvis Presley should be cut from the novel as he would be forgotten by 1962. 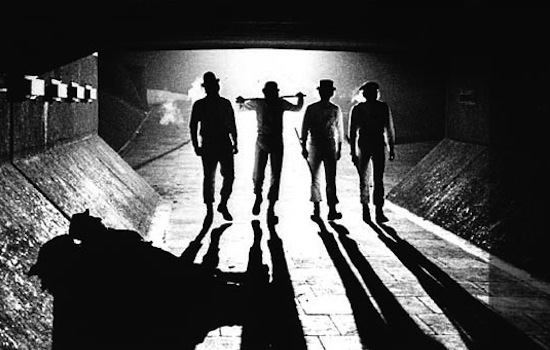 During the first act of violence in the novel, the droogs wear masks to conceal their identities. Alex wears a mask of the former Prime Minister Disraeli, Georgie has Henry VIII, Dim has the poet ‘Peebee Shelley’ and Pete has Elvis Presley. In the margins of the typescript, Burgess notes of the latter: ‘Will this name be known when the book appears?’ Even though Elvis was at the height of his popularity when Burgess was writing the novel, he viewed pop music as ephemeral and largely worthless. 5. U2 wrote the soundtrack to a theatrical version of the novel. In 1990, the Royal Shakespeare Company staged a production of A Clockwork Orange at the Barbican Theatre, London. It was adapted from Burgess’s own script, and starred Phil Daniels as Alex. Instead of using Burgess’s own songs that appear in the script, the production employed Bono and The Edge to score the action. Burgess was unimpressed with the results, and described the music as ‘neo-wallpaper’. U2 would go on to release a track from the soundtrack: ‘Alex Descends into Hell for a Bottle of Milk/Korova 1’ was the B-side to their single ‘The Fly’ from their 1991 album Achtung Baby. The RSC production of A Clockwork Orange also has a surprising connection to another piece of popular culture: it was choreographed by former Strictly Come Dancing judge Arlene Phillips. 7. 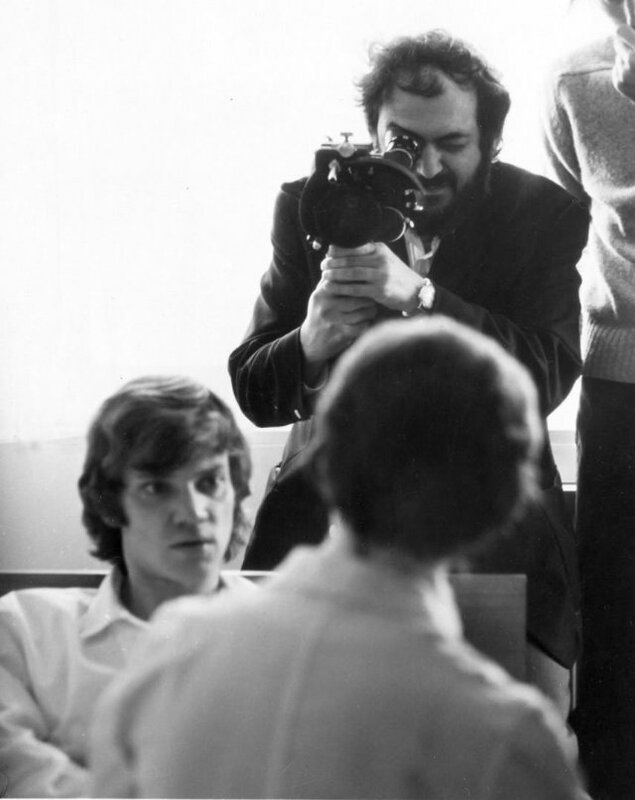 The film was not banned, but Stanley Kubrick withdrew it from distribution in the UK. The film version of A Clockwork Orange was originally released in January 1972, but after reports of a number of copycat crimes it disappeared from cinemas. It was not banned though. Such was the frenzy of negative press attention (it takes up six large-format bound volumes in the Kubrick Archive), Kubrick himself withdrew it from release between 1973 and his death in 1999. As Kubrick shunned any publicity for the film, it was left to Burgess to defend its themes and relevance on chat shows in the UK and the USA. 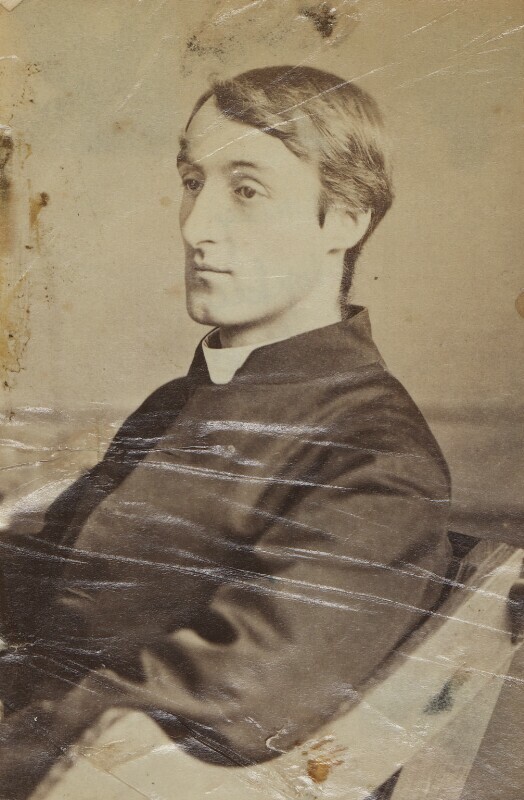 Burgess fictionalised this period in the novel The Clockwork Testament (1974), in which the poet Enderby has to defend his film adaptation of Gerard Manley Hopkins’s narrative poem The Wreck of the Deutschland. 7. Vincent Van Gogh inspired a key scene in the film. Stanley Kubrick’s adaptation of A Clockwork Orange has a conspicuously futuristic aesthetic, with its brutalist buildings and post-modernist kitsch. Yet the influence on Kubrick’s vision is much wider than this. When Alex is sent to prison, there is a scene of the prisoners stomping round a small yard in a tight circle. This is a recreation of Vincent Van Gogh’s 1890 painting ‘Prisoners Exercising (after Doré). Gustave Doré’s original engraving shows a similar scene, albeit without Van Gogh’s use of colour.